We have a section dedicated to links to other unique clay websites. Looking for other clay sources or fantastic websites? Visit this section, and feel free to leave a comment about your own sources and information. 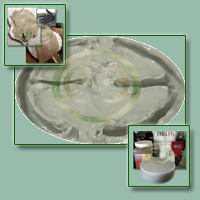 From "Nature's own laboratory in Wyoming's Big Horn Mountains" comes a wonderful healing clay called Pascalite. Tests and experiments have revealed many almost unbelievable cures. The valley near the top of the Big Horn Mountains, South Paint Rock Valley, was for a vast period of time a favorite camping ground and arrow-chipping ground for various Indian tribes - the Crows, Arapahoes, Shoshones, Blackfeet and Sioux. They knew about and used Pascalite, which they called "Ee-Wah-Kee"
Some tribes even offered it for bartering purposes at the various rendezvous, such as the Green River Rendezvous, where trappers, traders and Indians all congregated once a year to trade furs. Pascalite was unknown to the white man until Emile Pascal, a trapper, found it by accident about 1930. He accidentally got his badly chapped hands coated with Pascalite. His hands improved, and with continued use of the clay, healed. Pascal filed mining claims on it, and his friends began using it as his urging. Ray Pendergraft is president of Pascalite, Inc. now and has many interesting stories to tell. He recalls a story he found in an old newspaper: "Chief Washakie of the Shoshone tribe, on his last buffalo hunt, about 1888, had a white newspaperman with him. After the party had hunted over the Owl Creek Mountains in Wyoming, traveling north from the Wind River Reservation to the Greybull River at the foot of the Big Horn Mountains, the newsman got very sick. Chief Washaie ordered his medicine man to cure him. The medicine man muttered some incantations over him, rubbed his abdomen and chest with some herb, then gave him some of the white powder from the mountains in water to drink. After ingesting this decoction ( Pascalite ), the man felt soothed and shortly fell into a sleep which lasted several hours. When he awoke, he was completely well". "Back in the 'golden days' of our mining venture - in the 1930's - we had the entire mountain ( that section of it containing Pascalite ) to ourselves. It was our kingdom in which we were for the most part the only subjects. Few people ever came down into that deep valley - it was off the beaten trail; the road was rocky, rough, and on occasion impassable... And this was as close to Shangri La as civilized man could come in the 20th century. "Nature was indulgent toward us; we had the icy pure water from the spring-fed little lake ( which we had stocked with cutthroat trout ), and we had abundant fuel in the dead pine, quaking aspen, and red spruce within a few yards of us. We had wild raspberries and gooseberries. We had 'uncontaminated' sun... And we had the Pascalite. "We has a 50-gallon iron barrel fastened to one of the buildings for an outdoor shower. We would fill it by hose and let the sun warm it; it was always available along with the Pascalite to make a thick paste to be smeared over our scratched or bruised limbs, then rinsed off with the needle-sharp finger of water, still cold enough to bring forth a gasp, and a resulting feeling of well-being that bordered on euphoria!" Ray explains how he came into the picture when, as an unemployed coal miner in the 1930's he sought for and found a job as the mine foreman for Labbe Products, which was the company formed to market the product - then called "Life Mud". The company had acquired a processing plant in Worland and a factory in Casper. It manufactured toothpaste, hair pomade, rectal suppositories, ointment, poultice and soap. The company ( faced with accumulated debts and public indifference ) failed, Ray Pendergraft bought a half interest in the mine claims from Emile Pascal for a nominal sum plus his agreement to do the assessment and other mining work, file labor proofs, etc. "During the fifties I tried vainly to get large drug and cosmetic companies interested in the material we renames Pascalite ( after Pascal ). We finally leased it to a mining man, but after one year he was unable to meet the advance royalty payment and we canceled his lease. "Meanwhile, people who became interested used the product and reported their results. We were gradually building up a file on its uses with sometimes dramatic results being reported." An outstanding case history is that of Carl Largent, a teenage boy in Ten Sleep, Wyoming at the foot of the Big Horns, who had scratched his leg accidentally. It became infected and gangrenous. His doctor want to amputate it, saying this was the only way to save his life, but Carl's father would not permit it; instead he packed it with a thick Pascalite paste and the leg promptly healed and was as good as ever in three weeks. Finally in 1970 Ray was able to get an article published in a national publication called "Beyond," and he began to get requests from all over for the product. It was sent out to them with no claims made and the signed understanding that it was being obtained and used at their own risk and for research purposes only. Other magazines picked up his story, and the demand continued. "We do not make any claims for Pascalite," explains Ray, "nor do we prescribe it or offer it as an agent for any treatment. But results of experimental usage of Pascalite, as done by the U.S. Testing Company of Hoboken, New Jersey, private testing companies, medical doctors, and users who, acknowledging that no claims were made for it, willingly used it at their own risks, cannot be ignored. I have documentary support of all cases in my files." Germicidal test show Pascalite to be sterile; and further, that it possesses the physical ability to occlude and precipitate cultural media. A solution of 2 ounces of powdered Pascalite in one gallon of water used to wash two walls of a hospital room showed a sterile culture 4 days after washing. The other walls, washed by the conventional method, showed daily contamination. A patient taking 2 no. 00 capsules of powder by mouth four times a day removed all symptoms of an active ulcer and hyperacidity in 7 days. A wet pack applied to corns and calluses on and between the toes was left on 3 days, then changed and left on 3 more days. All symptoms were relieved, and the corns had disappeared. Eczema, treated by 'everything' for 10 years, responded within 2 days to treatment by Pascalite, an in 1 week the hands were normal. Used as a water-and-Pascalite pack on the face and arms of an explosion-burn victim, it relieved the pain almost immediately and these areas did not blister. The hands, given conventional treatment, did blister. 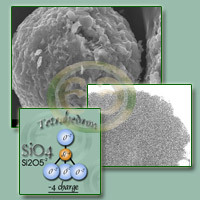 Used in powder form, it has cleared diaper rash overnight. Three individuals stated under oath that topical use of Pascalite paste had removed all symptoms of hemorrhoid in 2 to 4 nightly applications. Many other have reported similar results in its use for piles, rectal fissures and related conditions. Kit Nelson of Scottsdale, Arizona explains how Pascalite cured her 22-year old daughter of a serious case of chicken pox: "she was very ill and covered from head to toe with pox which nearly drove her crazy because of the itching and irritation. In desperation she mixed Pascalite with water to a thin consistency and applied it to her body. In a matter of hours ( ! ) the healing set in and she had complete rest and relief. Her recovery was fast and her skin remained lovely - the pox left no scars, which was a miracle." Nell Coates of Amboy, Washington, explained in her letter of [ sic. ] how Pascalite cured he psoriasis: Her doctors said there was "no know cure for it and gave me a list of things to purchase." After getting home and thinking about it, she decided it was too expensive for something that wouldn't work anyway. Instead she ordered a pound of Pascalite, mixed it with water to make a thick paste and applied this to the spots. When it dried, she washed it off with warm water, applied peroxide with a cotton ball, rinsed this off and held a 250 watt light close enough that the heat dried it. At night she applied the past and wrapped her legs in plastic and let it dry more gradually. She began this treatment in May of 1970 and continued through to August - by then she didn't have even a scar left." A case of anemia due to anorexia nervosa was reported by a doctor in New York: "As this is an emotional disorder, it is difficult to establish any biochemical effect with regard to Pascalite. Nevertheless, after 2 weeks of 3 No. 00 caps per day, the blood serum of this patient had returned to normal." A woman suffering from cataracts and threatened loss of sight was advised by a psychic to use water filtered through Pascalite as eye drops, combining this treatment with Pascalite paste on the eyelids. The psychic did not know of Pascalite by name, referring to it as a "white clay in the Big Horn Mountains in Wyoming, ' and it was some time before the patient was able to get an address and secure the white clay, Pascalite. She reports the treatment was effective, the cataracts dissolving. Two other persons have also reported similar results. A woman who was taking 3 No. 00 capsules of Pascalite daily, reported that a place on her scalp damaged several years previously by a hair preparation was now growing new hair by using Pascalite applied directly to the scalp. A sufferer from an advanced stage of pyorrhea was told by her dentist that she should have all her teeth extracted. She began to use cotton pads soaked in a Pascalite-and-water solution, applying them between gums and cheeks at night. Her dentist later found the pyorrhea gone; and now, 10 years later, her teeth and gums are in better condition than originally. A Cleveland, Ohio doctor who has repeatedly ordered Pascalite, states that he has found it aids in eliminating arthritis, that it reduces cholesterol, dissolves gallbladder and kidney stones, and neutralized metabolic waste. A man suffering from a case of penile Herpes Simplex first used the expensive cream prescribed by his doctor, but to no avail; the infection spread. He turned to a mixture of Pascalite and honey and within 3 days the swelling had disappeared and within an additional week "blister, cratering, necrosis, and suppuration had healed over with fresh pink flesh." When it appeared again the following year, he "nipped it in the bud by using mere tap water added to the Pascalite and within 7 days it was all healed, and the original blisters never spread as before, and the amount of pain was this time almost negligible. The skin is healthy, pink and unscarred." Some animal testing and usage was sine by some vets with gratifying results. Several cattlemen in the Worland area have been using Pascalite for the treatment of scours in their herds. Two large tablespoonful placed well down into the back of their pried-open mouths, repeated a second day, was the average treatment used to bring about complete relief from all symptoms. They reported a 100% success during the 2 years they have been using this treatment. One of these cattlemen states he used the same treatment for pneumonia in one of his cows with complete success. "The list of often-dramatic benefits from the use of Pascalite is so long and varied that it might well cause skepticism in the minds of the uninitiated. The surface has been barely scratched herein; and documentary support of all statements exists in our files." In addition to its other abilities, Pascalite has been shown to be an anesthetic. Many users have reported almost immediate cessation of pain following its application in paste form to the areas. "In our mining operations we have discovered that dead animals, buried in the tailings of the mine which contained a minor amount of Pascalite, did not decompose, but eventually became mummified. HOW DOES PASCALITE DO IT? "The presence of protein in this material gives evidence of yet undisclosed amino acids. The fact that amounts are small, and that even the requirements are for minute quantities, in no way diminishes their great importance. Suffice it to say, we may be flirting with the outskirts of some carinolytic exposure." "Microbiological analysis reveals the interesting fact that the raw material is completely sterile as pertains to any bacteria. However, it contains the spores of at least 6 different types of fungi." "When used as a media of raw material it inhibits the growth of representative pathogens such as staphylococcus, streptococcus, salmonella, escherichia coli, and pseudomonas aeruginosa." "Only 2 of the fungi of the several found in the sample have been identifies at this time; namely Actinomyces and Penicillium. Each of these fungi is responsible for production of its own class of antibiotics." Ray explains he offers Pascalite as a mineral and protein supplement which under a federal law of April 13, 1976, removes such supplements from the drug classification. However, since the Pascalite mine exists of [ sic. ] Forest Service land, the government decided it had the right to dispute all the claims made about Pascalite on the grounds that there were no valuable minerals in that stratum. When the case finally came to court, the government presented their one witness, a geologist, to state his opinion that there were no minerals in Pascalite. In response, Pascalite presented a number of witnesses, including a medical doctor who came from Oklahoma to testify to the great value as a healing agent for "fiddleback spider" bites - no cure for which had ever had ever been developed previously. This same doctor also testified that Pascalite was the best know to her for burns, and was 'very, very good' for the treatment of varicose ulcers, acne, and other related conditions. Other witnesses from outside the Worland area were glad to come and testify, including 2 veterinarians and one dentist. Last summer, the government finally agreed to dismiss the case provided all the buildings were removed - one small dwelling house and 2 storage buildings. Ray Pendergraft explains "we felt this was probably the easiest solution, rather than dragging the matter out for an indeterminate time. The Forest Service is permitting us to proceed to develop and market; however, we cannot at this time do any strip mining, but must go underground." "Considering the mineral composition and the soluble forms available, this natural mineral is certified as a valuable food supplement and has extraordinary qualities as related to nutrition and health." "All analyses and testing confirms that there is no contradiction to human health when this material is consumed in moderation." 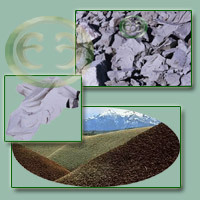 Green Desert Calcium Bentonite Clay Minerals - Bulk / Wholesale Death Valley desert calcium bentonite and fine quality clay blends. Redmond Clay - An excellent mixed layered clay from Utah.